It was a brisk October morning and with minimal sleep I was reluctant to leave my warm bed, but had a location in mind that would be perfect for sunrise. 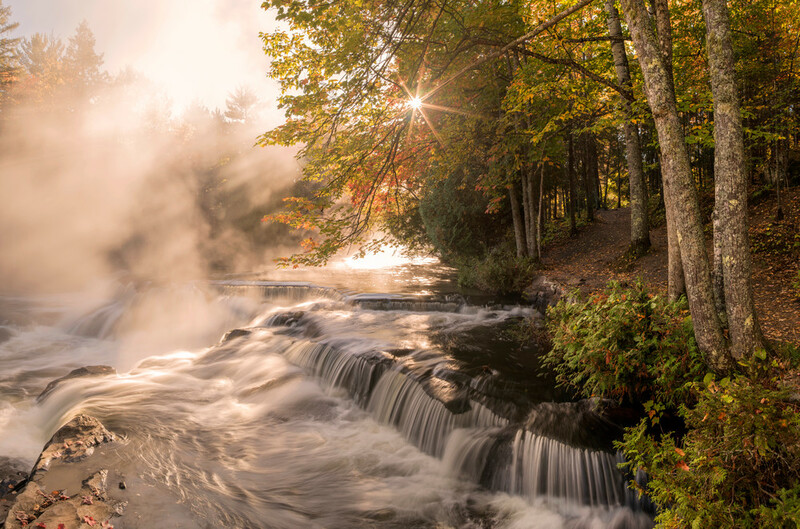 With below freezing temperatures, I knew the much warmer cascading water of the Ontonagon River at Bond Falls might create morning steam. As the sun rose, its warm rays of light filtered through the mist, creating a scene much more magical than my best expectations. Experiencing this moment was far more stimulating than any cup of coffee --I cannot imagine a better place to spend a morning!